It is part of our business model to give back where we can. We offer our services at a discounted rate to nonprofit organizations in order to help them get the web presence they need without breaking the bank. After all, most of these organizations function on donation based income. As of January 2017, we rolled out a monthly beneficiary plan for nonprofits in the Chico area as well. Every month we will select a different nonprofit. The selected organization will then receive a portion of our sales for that month. Interested in being a monthly beneficiary? Please contact us to let us know! 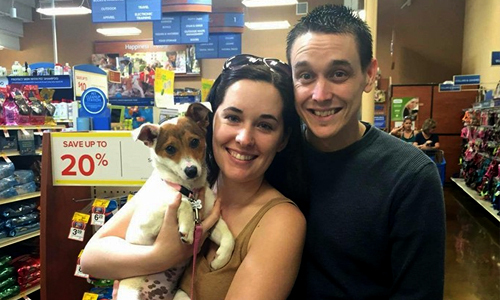 Danielle and Devin Vogel, owners of DK Web Design, sponsor adoption fees of homeless animals. Zeda, pictured above, was sponsored and quickly found a furever home!